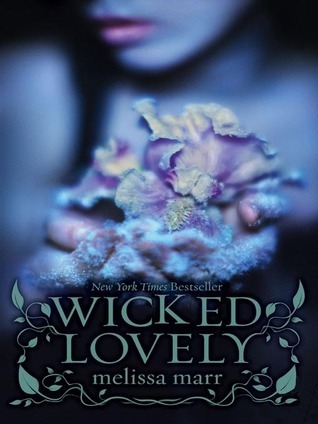 I had been putting off reading Wicked Lovely for a long time, because I just don't seem to get into faery books. The only real exception to this rule is Anya Bast's Enchantment series, but that one's definitely for adults. Young adult faery books never seem to do anything for me. Wicked Lovely, however, may have converted me - at least for this series. Melissa Marr has created a world in which the humans don't always have to bend completely to the faeries' will, and that makes it much more appealing. Aislinn is a strong character, and she is not willing to sacrifice herself, her love, and her plans for her future in order to "do the right thing" and save the Summer Court. She realizes that it's something that must be done, but she's not willing to lose herself in the process. That alone makes her a much better role model than a lot of the female protagonists out there in today's young adult paranormal literature. I'm still not likely to jump into the faery subgenre with gusto, but Marr's series has piqued my interest. Once my backordered copy of Fragile Eternity arrives (what can I say, I'm a hardcover snob! ), I plan on reading the rest of the series as soon as possible. By the way, did anyone else know that Wicked Lovely is going to be a movie? Maybe I've been living under a rock (again), but that's pretty exciting! I read this one awhile back and enjoyed it although I never ended up continuing on with the series. I'm thinking about rereading this one at some point just to refresh me on everything. Great review!